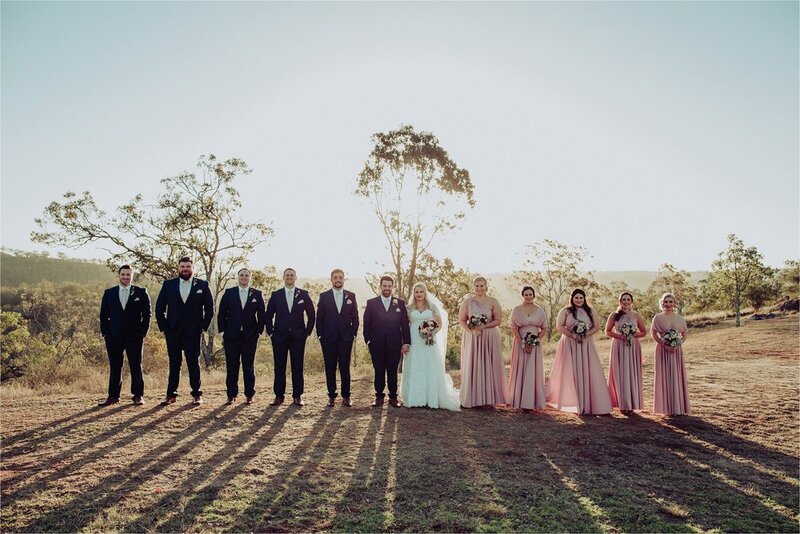 Lisa and Sam’s amazing Toowoomba wedding at Preston Peak Winery wedding venue. We were honoured with the task of capturing both photo & video for Lisa & Sam’s wedding. 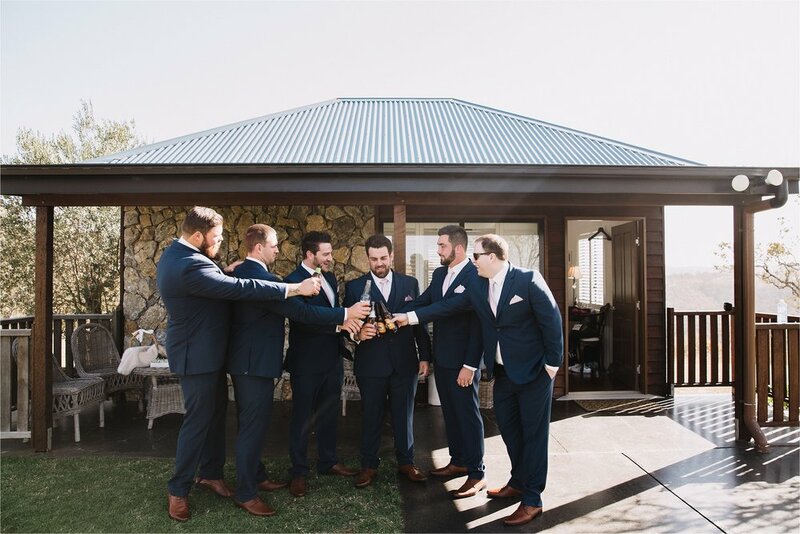 When it comes to amazing venue choices, Preston Peak Winery is insanely beautiful and their staff run a perfect ship. Preston Peak’s avenue of lights is a photographer’s dream and our team were able to grab some magical night shots under the fairy lights tree-lined driveway during the reception. Lisa & Sam’s hilarious bridal party made for some fun & quirky photos. Lisa’s Allure Bridal gown was stunning. Her deep colour bridal makeup was totally on point and blended seamlessly with her amazing florals. And Lisa had a bridal cape!!! 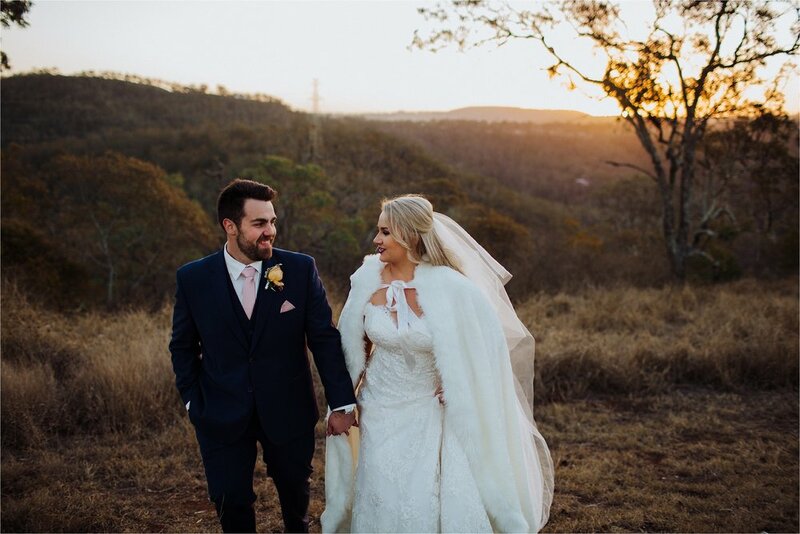 Our video team were able to put a drone up to capture the scenic surroundings of the venue and their wedding video highlight is one of our favourites to date. Make sure you scroll through to end of photo gallery for link to view it. As usual, all the amazing vendors involved are linked at bottom.